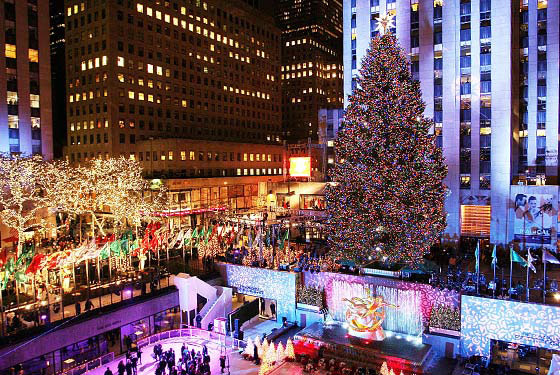 Christmas time in New York City is unlike anything else. People bundled up in jackets and hats hauling shopping bags, lights and wreaths decorating every business and storefront, and the crisp chilly air- it’s like a scene out of a Christmas story. Every year, thousands of people flock to New York City to see the beautiful sights- Radio City Music Hall, the windows at Saks Fifth Avenue and most importantly the ice rink and tree at Rockefeller plaza. There really is nothing that gets you in the Christmas spirit like visiting New York City. Luckily, us living in the Wilkes-Barre Scranton area are fortunate enough to live pretty close to one of the greatest cities in the world. In just a few short hours, us living in Wilkes-Barre, Scranton, Hazleton, even Allentown are transported to the real life Christmas scene that is NYC. Unfortunately, traveling to New York City can turn even the most avid Christmas fan into a Grinch. Navigating the streets of the largest city in our country isn’t a task for the faint of heart, and once you finally make it to the city, finding affordable parking is nearly impossible. The best alternative to ensure your trip to New York City is a fun and relaxing as you hope is to rent a limo. Renting a limo from NEPA to NYC takes all the hassle out of traveling for the Christmas holiday. If you do decide to rent a limo to NYC, your trip can completely transform. Now, you can see all the sights you wanted to without getting lost, without finding parking that is centrally located or without having to worry about when you need to leave. Instead of worrying about where your car is parked, you can worry about the important things, like showing your children the tree a Rockefeller Center or visit Santaland at Macy’s. Spend your time visiting New York City enjoying the Christmas lights, the snowflakes falling in the city and the jingle bells ringing, it will get you in the Christmas Spirit. Interested in our NYC Limousine Rental Rates? Get Quote today by completing the form on the right side of this page!